Enjoy your morning coffee guilt-free with this reusable Cambridge travel mug made from Bamboo. 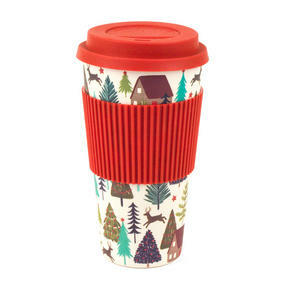 Combining rustic style with everyday practicality, the lightweight mug is adorned with images of deer, trees and wooden cottages and has a red lid made from heat resistant silicone. 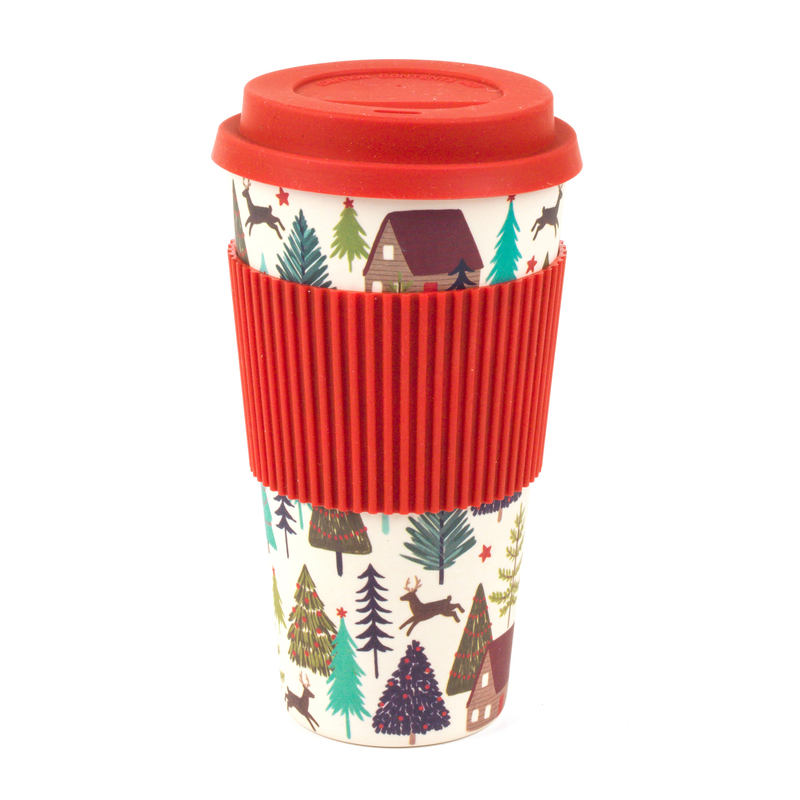 Perfect for your winter commute, the cup has a top diameter of 10 cm and is the ideal size to slot into your car cup holder, plus it has a matching silicone sleeve for extra grip so you can easily carry it on the go. Beat the winter blues with this charming mug featuring rustic forest illustrations, ideal for warming up on dark and gloomy mornings. Made from eco-friendly bamboo, this reusable mug offers a green, chemical-free alternative to single-use plastic cups and containers. Make your favourite hot beverage in the cup and secure the silicone lid to effortlessly prevent any spills and keep your drink warm. Generously sized with a top diameter of 10 cm and height of 18 cm, it comfortably holds 560 ml, perfect for a coffee on your commute.